It was the same with his trousers. Mma Ramotswe kept a general watch on the generously cut khaki trousers that her husband wore underneath his work overalls, and eventually, when the trouser legs became scuffed at the bottom, she would discreetly remove them from the washing machine after a final wash and pass them on to the woman at the Anglican Cathedral who would find a good home for them. 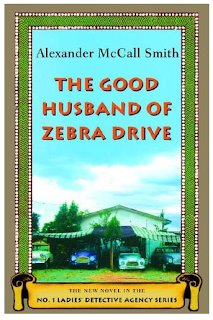 I just picked up The Good Husband of Zebra Drive, by Alexander McCall Smith, and was surprised to find that it started with a decluttering story! But in the real world, under normal circumstances, I would advise you to not get rid of someone else's things without his or her approval. What a coincidence! I'm listening to the 1st Ladies' Detective Agency on my MP3 player at the moment. I'm loving it. If you've never been to Africa, find a audio copy of the books. The accent and pronunciation of the reader adds so much to the story. 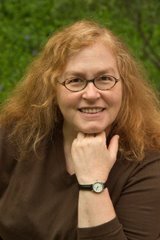 What a great idea, SueBK! I've traveled a lot, but I've never been to Africa; I'll see if my library has an audio copy of one of the books. I'm now passing your suggestion on to other fans of this series. I loooooove these books! I just discovered them in September. I was going to visit my bff in Florida. I picked up a copy of the first book in the series to take as a gift. It looked so good, I bought myself a copy on the way home. I've almost finished the series, and I'm also reading his other books. Now I have the HBO series on my Netflix queue! MarySees, I haven't read any of his other series yet. Thanks for the reminder to add them to my list of Books to Get From the Library.